The best part of tying the knot, other than the fabulous wedding, is the private honeymoon. Couples can whisk away from the festivities to begin a lifetime of togetherness at any of these 25 luxury honeymoon retreats across the globe. These romantic destinations offer couples the respite and privacy they need after months of planning and preparation for their big day. Each honeymoon retreat has a special ambiance, from the turquoise waters and island breezes of the Caribbean to the unspoiled beauty and natural surroundings of the Blue Ridge Mountains. Luxury is the common denominator at these romantic honeymoon retreats around the world. The Loren is Bermuda’s newest hotel, and it is already topping lists of the best new hotels in the world. Staying away from the traditional British Colonial architecture of most of island’s hotels, The Loren is modern, with clean lines and contemporary esthetics. The lobby is inviting and welcoming with floor-to-ceiling windows, a library, and giant vases of fresh flowers. It feels more like visiting a well-off friend than coming to a hotel. Located on the Pink Beach and overlooking the ocean, the hotel has 45 oversized suites and rooms, decorated in a stylish mix of warm earth colors mixed with splashes of blue and silver. There is a magnificent infinity pool on the edge of the ocean, carved into a vertical cliff. 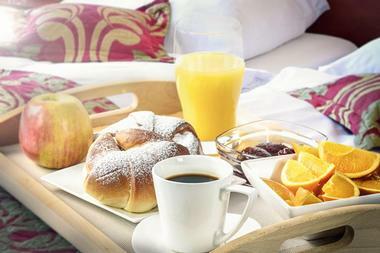 The hotel restaurant Maree offers local dishes in a formal, opulent atmosphere. This award-winning West Indies resort is a one-of-a-kind Caribbean getaway. 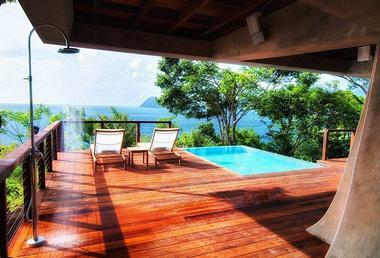 Secret Bay’s honeymoon villas have spectacular views of the sea from their positions high on the cliffs. Discreet attendants are on call to provide guests with five-star service and the concierge can arrange for personalized experiences including private concerts, intimate dinners, individualized yoga classes, and sunset sailing for two. The resort’s eight sustainable villas and bungalows were built from locally sourced materials and come equipped with modern conveniences, so guests can stay in touch with the outside world – though one might forget it even exists in this lush environment. The Old Edwards Inn and Spa is a European-style resort in the Blue Ridge Mountains. Period antiques and fine linens give the rooms and suites their Old World ambiance, but guests will also appreciate the inn’s modern amenities. The resort’s onsite spa was rated as the Top Hotel Spa in North America by Condé Nast and offers a full menu of services including the Bliss for Two Massage in their couple’s suite. Newlyweds will also enjoy the property’s 18-hole golf course, clay tennis courts, and the outdoor heated mineral pool. The Romantic Mountain Escape Package is the perfect option for couples on their honeymoon. Located in the British Virgin Islands, Peter Island is an unforgettable destination with luxury accommodations, curated amenities, and first-class service. 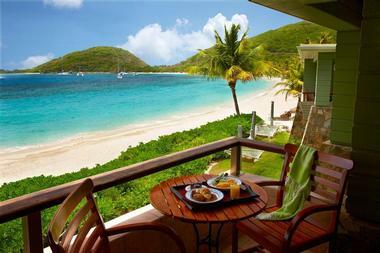 Opportunities for romance abound at Peter Island. From a picnic lunch on Honeymoon Beach to private sunset viewings at The Loop to couple’s spa treatments on Big Reef Bay, Peter Island offers honeymooners unique opportunities to spend time together in a relaxing environment surrounded by natural beauty. 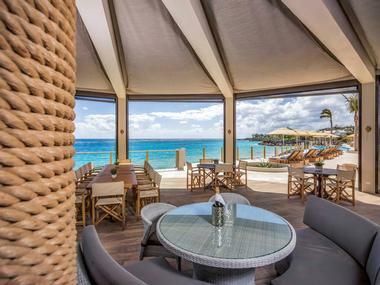 The rooms, suites, and luxury villas on the island all have views of the turquoise-blue water of the Caribbean, as do the resort’s restaurants and lounges. Honeymooner and Island Romance packages are available upon request. For a truly unique honeymoon experience, newlyweds can stay at the Jardin Escondido, where movie director Francis Ford Coppola stayed while he lived in Buenos Aires. He later partnered with the Bourbon Hotel chain to develop the property and share his love of the local culture with visitors from all over the world. Couples can enjoy quiet afternoons in the library reading Latin American literature, an evening in one of the elegantly appointed suites watching a film from the curated video library, and a traditional Argentinian barbecue on request. The Wedding Night Package includes breakfast in bed, afternoon tea service, a bottle of sparkling wine, and petit fours for a sweet treat. 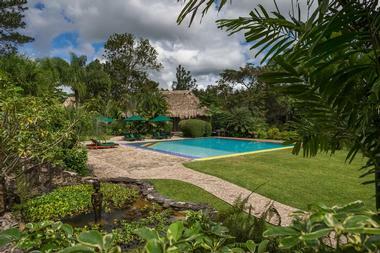 The former family retreat for Hollywood’s Coppola dynasty, the Blancanequx Lodge is a tropical paradise in a remote part of Belize’s rainforest. Twenty luxuriously appointed rooms await couples who want their honeymoon to be the experience of a lifetime. Cabañas, villas, and the Enchanted Cottage all offer unparalleled amenities such as a mini-bar stocked with domestically produced Belikin beer and local snacks as well as handmade soaps and a copy of the Coppola-founded Zoetrope magazine. Ingredients from the property’s organic garden are used to prepare gourmet meals in the onsite restaurants. The resort’s Deluxe Honeymoon Package offers the perfect combination of romance and adventure. Hotel Emiliano’s Romantic Night package offers exclusive amenities for your wedding night. Couples will be treated to breakfast in bed, massages at the Santapele Spa, butler service, champagne and chocolate, and late check-out. The hotel’s champagne and caviar bar offers more than 80 brands of sparkling wine and the advice of an expert sommelier. The Emiliano Restaurant serves contemporary Italian cuisine for breakfast, lunch, and dinner and has a well-deserved reputation for being one of the best locations in the city for weekend brunch. This sophisticated property is in the heart of the Jardins district, so guests of Hotel Emiliano can enjoy the best São Paulo has to offer. The Tabacón Grand Spa Thermal Resort lies at the base of a volcano in lush tropical surroundings that make the property a perfect tourist destination. 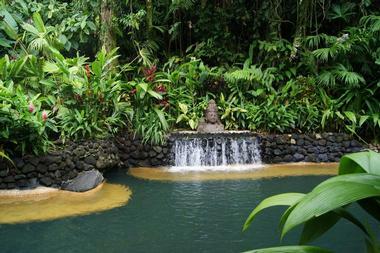 Its thermal springs and botanical gardens are ideal settings for relaxation and romance. Wedding couples can choose from the Romantic Jungle Temptation and Rainforest Bliss packages, both of which include adventure tours, massages at the spa, complimentary access to the gardens and thermal springs, and three-course meals featuring local Costa Rican cuisine. Adults will also enjoy the serenity of the Shangri-La Gardens and an open-air lounge, where butlers serve guests drinks and snacks in private cabanas. Located on a private forest reserve, the Mashpi Lodge offers its guests contemporary accommodations in astoundingly beautiful surroundings. Rooms all have floor-to-ceiling windows that overlook the forest, but visitors will want to experience the natural environment up close. This can be done via rides on the resort’s gondolas and sky bikes that travel on cables above the forest canopy, or on hikes along secluded paths that lead to misty waterfalls. Couple’s massages and a soak in the open air hot tub are in order after a day of outdoor activities, followed by an intimate dinner in the lodge’s restaurant and drinks at the Explorer’s Bar. 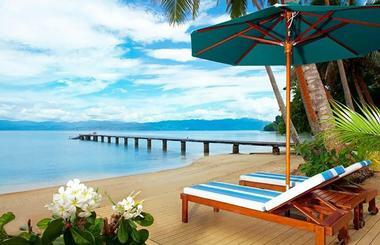 This retreat offers a Romance Package that will fulfill the desires of any couple wanting a truly tropical honeymoon. Guests will enjoy three gourmet meals each day as well as cocktails and canapés every evening at sunset. There is also a private island escape and resort credit for spa treatments, excursions, or drinks. Dinner by lantern light on the resort’s private pier or ocean decks will set the mood for an evening of romance. Garden view and ocean view rooms and suites are equipped with private label toiletries, complimentary soft drinks and bottled water, and a menu from which guests can choose the perfect pillow for peaceful slumber. Nice is located on the French Riviera in the south of France. Does it get any more romantic? 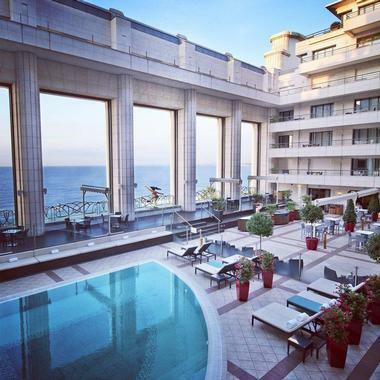 Couples can up the romance ante even more with a stay at Le Palais de Méditerranée on the iconic Promenade des Anglais. A suite overlooking the Mediterranean’s Bay of Angels offers another layer of opulence and romance for the “just married.” Although there are no honeymoon packages at this hotel, couples are encouraged to let staff know they’re honeymooning for extra enhancements at the pool and spa as well as at the hotel’s signature restaurant, Le 3e. The restaurant’s seasonal fare is also available on the quiet third floor terrace. Nice offers numerous artistic and cultural experiences. Couples looking for the ultimate in opulence and privacy should consider The Brando for their luxury honeymoon getaway. 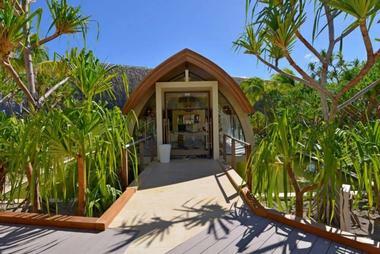 The hotel’s 35 villas are located on the private island of Tetiaroa, accessible by private plane. The island and surroundings are so mind-blowingly stunning that Marlon Brando himself once said that “Tetiaroa is beautiful beyond my capacity to describe.” Serenity reigns supreme in one-bedroom villas that include a sitting room, media room, dressing area, bedroom with king-sized bed, and adjoining bathroom with outdoor tub. Villas also have their own plunge pools. From naturalist-led island tours to Polynesian spa treatments to Polynesian and French-inspired cuisine, this little piece of paradise begins a marriage well. Situated near Ubud in Bali’s Valley of the Kings, Viceroy Bali offers couples the ultimate secret hideaway to spend their first precious days of love together. Once they have visited, savvy travelers will return again and again to stay in one of these 25 private pool villas. Each includes modern amenities, luxurious bedding, enviable outdoor spaces, and astounding valley views. 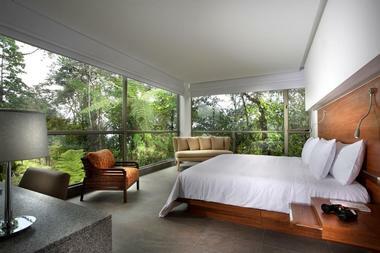 CasCades restaurant and the Lembah Spa only add to the allure. Other amenities include the sophisticated Viceroy Bar, infinity pool, fitness center, boutique shop, and helicopter pad. Three-night Luxury Romance packages feature a five-course candlelit dinner and 2-hour couple’s spa treatment. Honeymoon packages at Shangri-La are reserved exclusively for couples who choose to host their wedding here. 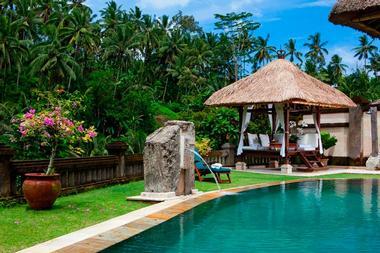 However, that shouldn’t stop couples from choosing this romantic, secluded hideaway for their honeymoon experience. Spacious and stylish villas with Indian and Middle Eastern-inspired décor dot the coastline or are perched above the jungle. Facilities include CHI, The Spa, where couples can take advantage of indulgent treatments, a nine-hole golf course, three restaurants, M Lounge with live mood music, and a custom Dine by Design culinary experience in a romantic setting. Active couples can enjoy watersports, including diving and snorkeling, and a variety of tours exploring the island and Addu Atoll. In one of the most remote areas on earth, the Seychelles is home to Fregate Island Private Lodge, sited on what would otherwise be a completely uninhabited island. 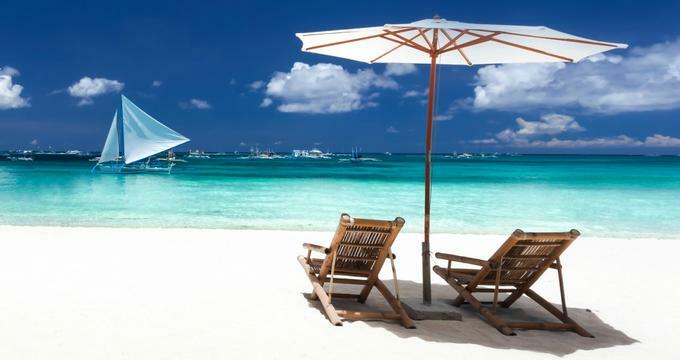 When couples really want to get away from it all, this is their destination. Fregate Island is an oasis of indigenous forests, unique wildlife, and pristine beaches. 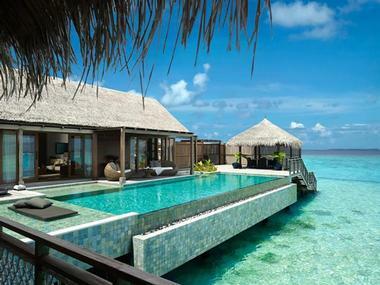 Sixteen thatched villas dot the island with surroundings ranging from granite cliffs to tropical gardens. Villas include personal infinity pools, private verandas, cozy hot tubs, and private dining pavilions. Couples can dine in unique restaurants from a treehouse to a wine cellar to a beach bar. This laidback luxury honeymoon retreat has everything a couple needs to begin life together. Ciragan Palace Kempinski is located on the Bosphorus, a natural straight that connects the Black Sea to the Sea of Marmara and is the only hotel in the area from the Ottoman Empire. Its design stays true to the elegance and sophistication of a real Ottoman palace, providing a honeymoon retreat fit for royalty. 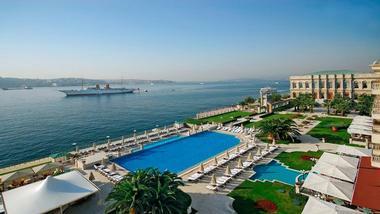 It offers a total of 313 rooms including 11 suites in the historical palace section and 20 suites in the main hotel. The hotel features four distinct restaurants providing international flavors from traditional Turkish and Ottoman cuisine, each overlooking the Bosphorus. There is also a luxurious spa, a heated infinity pool, and several upscale boutiques. Located in Miami, and affectionately referred to as the “Magic City,” couples will make their own magic at the Four Seasons Hotel Miami. It is a diverse oasis showcasing art deco architecture and a provocative blend of Caribbean, American, and Central and South American influences. The hotel features two premier restaurants: Edge, Steak & Bar with the adjoining EDGE terrace offering contemporary American cuisine, and Bahia, a casual dining restaurant with an extensive menu influenced by Miami’s Latin culture. Their Equinox Spa is an incredible place to unwind, featuring 10 treatment rooms including a Turkish steam room, wet treatment area, and redwood sauna. They also have a heated main pool and the relaxing Palm Grove Pool. 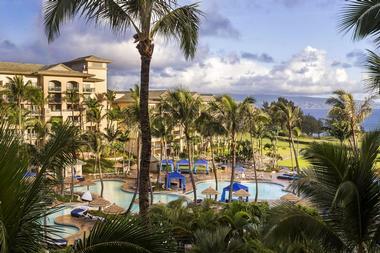 The Four Seasons Resort Lanai is located on Hawaii’s southeastern shores on the only remaining unspoiled island. Its secluded location offers honeymooners the opportunity to enjoy paradise in private, whether seeking relaxation or adventure. The resort encourages visitors to explore the area by land, sea, and sky, providing a wealth of activities such as snorkeling, diving, sailing, horseback riding, and four-wheeling as well as taking exhilarating helicopter tours. Four Seasons features the Jack Nicklaus championship golf course, nine eclectic bars and restaurants, the Peter Burwash International Tennis Facility, luxury boutiques, a relaxing spa, and numerous pools including the adults-only retreat. Situated on Hawaii Island’s premier Kona-Kohala Coast, the Four Seasons Resort Hualalai is a stunning and luxurious oceanfront property that captures the character of Hawaiian tradition, design, and culture. These warm and romantic two-story bungalows house 243 expansive guestrooms, suites, and villas designed to exude classic Hawaiian luxury with their nature-inspired décor and native Hawaiian art. Couples will love the wealth of upscale amenities, including seven swimming pools, five whirlpools, two oceanfront lounges, three Kona restaurants, state-of-the-art fitness center, and magnificent spa. They also offer various tour options and adventure packages such as the Ultimate Pop-Up Volcano Adventure, an exploration of the world’s most active volcano, ocean adventures, and photography workshops. 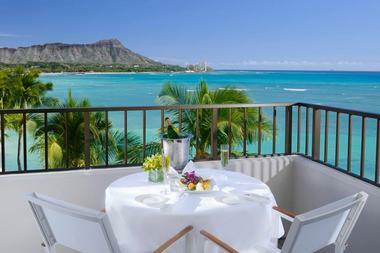 Halekulani is one of the first hotels in Hawaii, situated in Waikiki near the freshwater springs that give it its name. This beachfront property offers unobstructed views of Diamond Head, making it one of the most sought-after destinations for romantic honeymoons. It features a collection of guestrooms and suites that provide an understated elegance with their signature “seven shades of white” décor. Halekulani offers an array of amenities for couples to indulge in, such as their tranquil heated pool, Spa Halekulani, where guests can enjoy traditional Hawaiian and Polynesian treatments, and five distinctive restaurants, bars, and lounges. They also provide numerous onsite boutiques offering everything from daily essentials to memorable gifts. 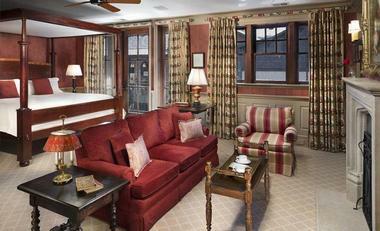 Located in New Orleans’s French Quarter, Hotel Mazarin is a luxury hotel featuring 102 spacious guestrooms. 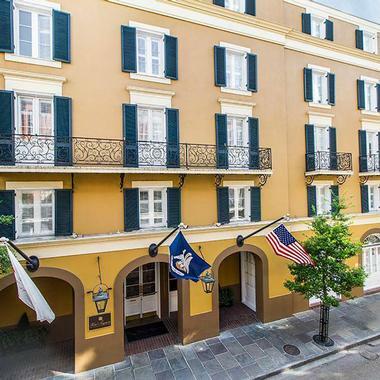 The hotel boasts one of the most elegant courtyards in the Quarter, with a European-style fountain as its centerpiece where couples can steal a few romantic moments together. Hotel Mazarin offers two culinary experiences – Patrick’s Bar Vin Wine Bar and 21st Amendment Bar at La Louisiana. Couples who love having fun together will enjoy Hotel Mazarin’s neighborhood, where jazz fills the streets and the nightlife is lively. The legendary Bourbon Street is just one block away. The Quarter also features a wealth of intriguing art galleries and various boutiques. A premier beachfront property, Ko’a Kea Hotel & Resort is an upscale luxury resort situated along the golden beaches of Poipu. 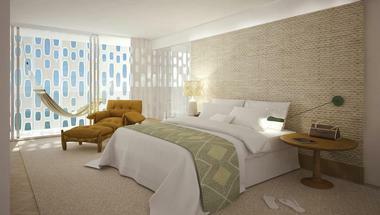 It has 121 boutique guestrooms with modern furniture and refreshing colors. 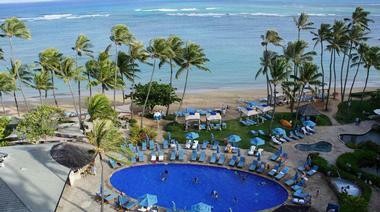 Located on Hawaii’s Garden Isle, the south shore of Kauai, honeymooners will find gorgeous weather any time of year. It’s ideal for couples who surf together or enjoy other watersports. The resort offers an onsite beach activity center that provides lessons and equipment rentals for activities such as surfing, snorkeling, and kayaking. The resort is also equipped with a saltwater pool area, the Red Salt restaurant, and an oceanfront spa cabana providing indigenous services. Mandarin Oriental is a five-star luxury hotel situated in the heart of New York City overlooking Central Park, the famous New York skyline, and the Hudson River. The hotel’s spacious guestrooms and suites provide romantic champagne and gold décor with pops of sultry reds and soothing blues. Modern amenities and floor-to-ceiling windows with epic views will make honeymooners never want to leave the room. 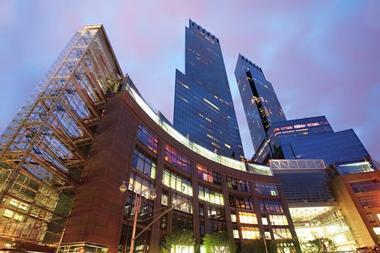 There are three onsite restaurants – The Aviary NYC, The Office NYC, and Asiate. Each offers inventive cuisine and cocktails in sophisticated and chic surroundings. Mandarin also boasts a luxury spa and wellness center with six treatment rooms, a Thai yoga suite, oriental tea lounge, and separate men’s and women’s vitality pools with amethyst crystal steam rooms. The Kahala Hotel & Resort is a legendary luxury property in Honolulu frequented by royalty, Hollywood icons, and presidents. Situated along white sand beaches and just 10 minutes from Waikiki’s entertainment and world-class shopping, sophisticated couples will appreciate this honeymoon retreat. Guestrooms and suites feature luxurious interiors with fine finishes, opulent bathrooms, and the choice of scenic full-ocean or dolphin lagoon views. Kahala’s restaurants and private dining services feature award-winning cuisine that embraces a diverse blend of cultural influences and Honolulu trends. 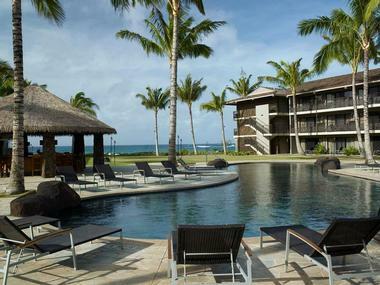 The hotel features a beachfront pool, spa and wellness center, the CHI fitness center, boutique shops, and numerous activities such as Dolphin Quest and Holokino Hawaii Sailing Tour. Active honeymooners will appreciate the Ritz-Carlton, Kapalua in Maui, an oceanfront five-diamond hotel that prides itself on honoring the traditions of Hawaii. Situated on 54 magnificent acres, the hotel proudly protects the Honokahua Preservation Site, a sacred site adjacent to the property. They offer 463 guestrooms and suites with vibrant island-inspired décor, dark wood floors, marble bathrooms, and picturesque ocean views. The resort provides six dining experiences using fresh ingredients from their sustainable organic garden to create delicious Pacific cuisine. They also feature two championship golf courses, a spa and wellness center, and a wealth of recreational activities, such as whale watching, snorkeling, hiking, and surfing.